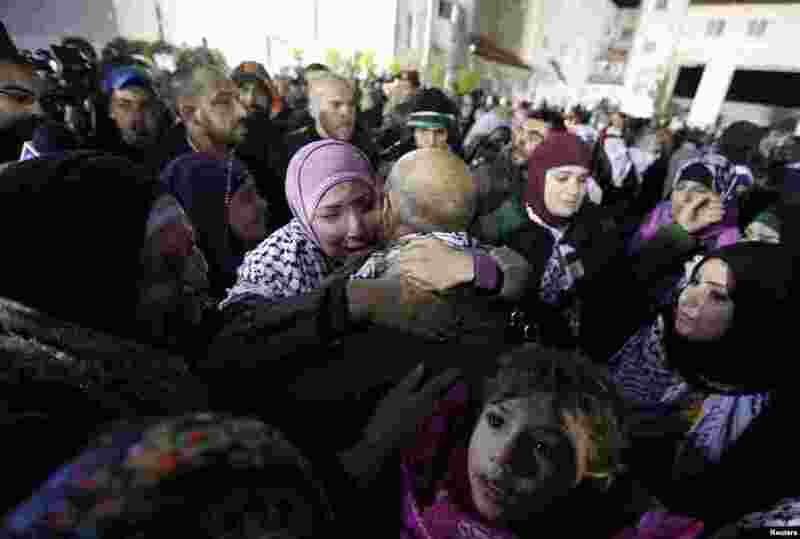 1 Prisoners released by Israel are welcomed by relatives and friends in Ramallah, West Bank, Dec. 31, 2013. 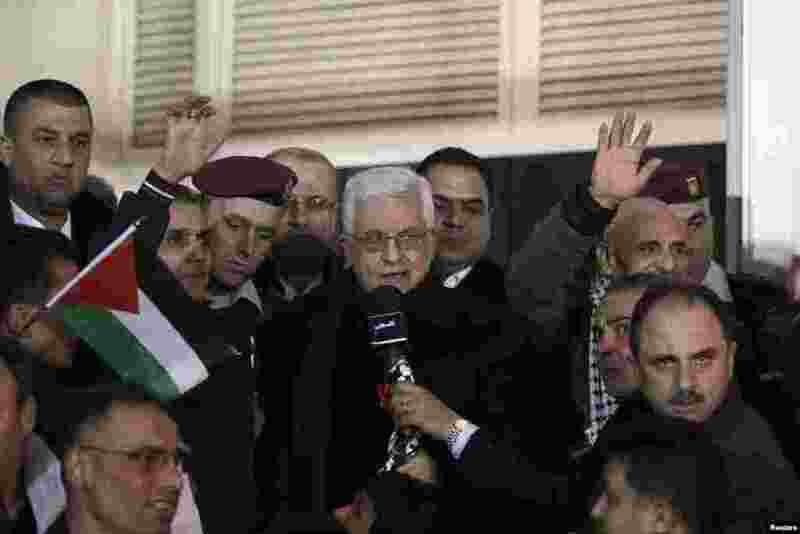 2 Palestinian President Mahmoud Abbas (C) speaks as he welcomes Palestinian prisoners released by Israel, in the West Bank city of Ramallah, Dec. 31, 2013. 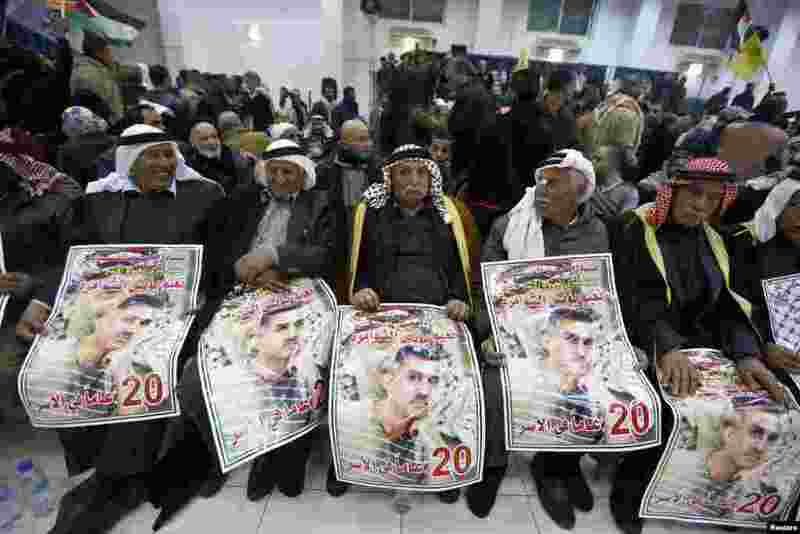 3 Palestinians hold posters depicting Palestinian prisoner Naim Shawamreh as they wait for the released prisoners to arrive in Ramallah, West Bank, Dec. 30, 2013. 4 A prisoner released from an Israeli prison (C, back to camera) is welcomed by relatives in Ramallah, West Bank, Dec. 31, 2013.